I was very proud recently writing up my newsletter announcing seven new clients. We are an overnight success that took over 20 years of hard work to happen 🙂 We continue to gain clients via referrals from happy customers. As any small business person will tell you referrals are the lifeblood of any company like mine. Now this post is not meant to just brag about our success. No, actually this is a post designed to help you, the small business person. I intend to share with you what I consider the secret of success for any small business, particularly service businesses. Now my business isn’t your typical service business, usually you think more of the guy that comes to fix your refrigerator or the exterminator, or perhaps someone who comes to cut your grass. But, I do look at myself as a service company and most definitely a small business despite our tremendous growth. The simplest thing a service business can do to retain customers and reap the benefits of those people referring you over and over is to respond to inquiries immediately. As an example, we answer every email the same day. Most of the time we fulfill customer requests within 24 hours. No matter what you’re doing, respond to your customers quickly. Otherwise, they will go elsewhere. And, If you have the contact form on your site, make sure you check and respond as soon as possible. When people fill out a form, they do so as they want immediate help. As not everyone prefers the phone these days, they fill out your form. If you ignore this or take too long to respond, again they will probably go elsewhere. A lot of times companies make the mistake of overcharging a customer on their first interaction. The problem with that, is you leave a bad taste in someone’s mouth and they’re not as likely to for you or use you again. Instead, try to be fair, even giving first time customers/clients a discount. The result will be repeating business and referrals. Being shortsighted and overcharging maybe profitable in the short term, but in the long-term is not a great strategy. One thing most people and companies are looking for is to deal with businesses who have a good solid offering. For us, we have tried to develop service plans to handle most of the web tasks a small business could ever need. So rather than their company having to hire a person to do SEO, another to do social media, another to write blog posts, another to host their site, and yet another to manage their website updates and security, they just hire us. So think about your business, what are you offering and what can you add to those offerings to make you more valuable to your customers? One thing that we have always done is give a substantial discount to nonprofit organizations. This is something we recommend to most small businesses. By giving a discount to nonprofits, veterans groups and others you show people that you are a part of the community. This leaves your customers with a good feeling about you and your business. And people always want to refer companies they like and respect. I am a firm believer that you can always be improving. [ see my post on Kaizen – Kaizen is Japanese for “improvement”, or “change for the better” ] But to do so you need to constantly be reviewing what you are doing as a small business. Take a look at what can you do better, what works and of course what doesn’t work. The world is constantly changing, and as such you need to be evolving all the time as a business. Keep your eyes on others in your industry, look for the next big thing. I’m not telling you to get away with from what made you successful, but perhaps adding something to your company can help you sustain yourself for the long haul. I have followed these tips and they have worked well for me growing my business over the last two decades. 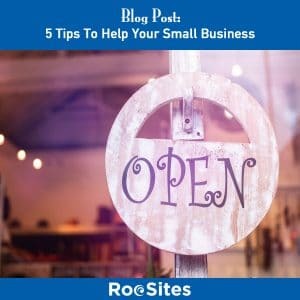 I’m sure there are other good pieces of advice, and I would love to hear some of your tips to help small-business. The small business community is a tight knit one and anytime you can reach out and help others, that’s a good thing. Good karma can never hurt! Anyone that has clients has run into this issue. It is where a client is easily swayed by fast talking salespeople and takes the advice of the last person he/she speaks to. In the internet age this usually takes the form of an SEO, or Marketing company trying to steal away clients by giving them false hopes. I recently had a client of many years leave to have his site hosted and maintained by a marketing firm (why a marketing firm would be hosting websites is a topic for another blog…). Now we hosted his website and gave his company excellent support completing all support requests within the same day for years. He never waited even 24 hours for us to answer and complete requests. You can’t give better support than this. 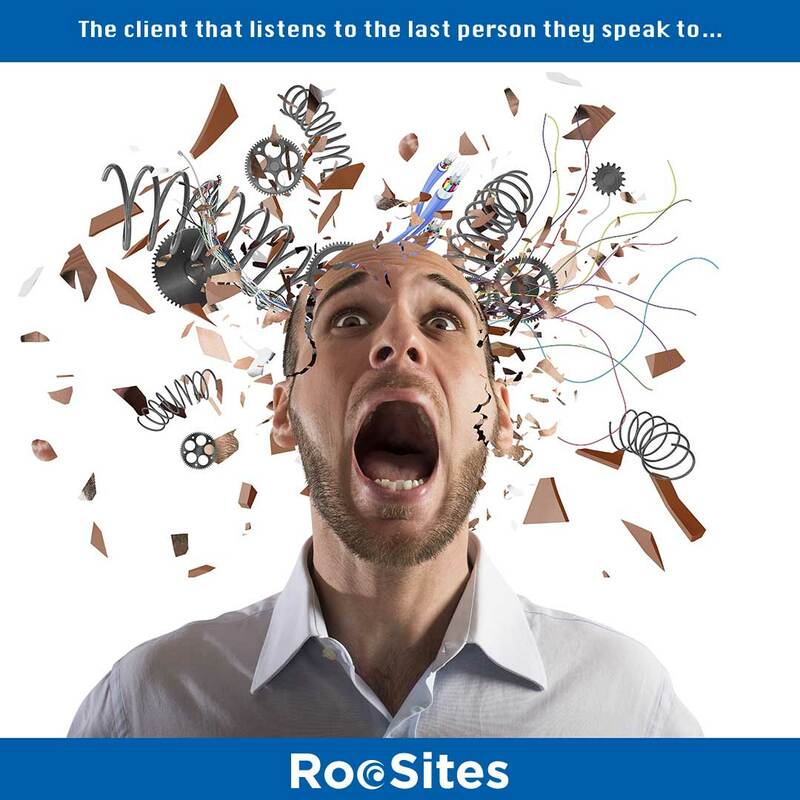 This is why RooSites is the top website management company in the US, Bar NONE. 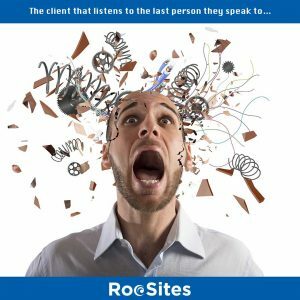 But this client has the condition (and the title of this blog) that he listens to the last person he speaks to, no matter how poor the advice given. He is open to suggestion, and fast talkers sway him quite easily. So he is ripe to be taken advantage by unscrupulous vendors he meets at various networking events and spammers shooting arrows in the sky looking for the one sucker. 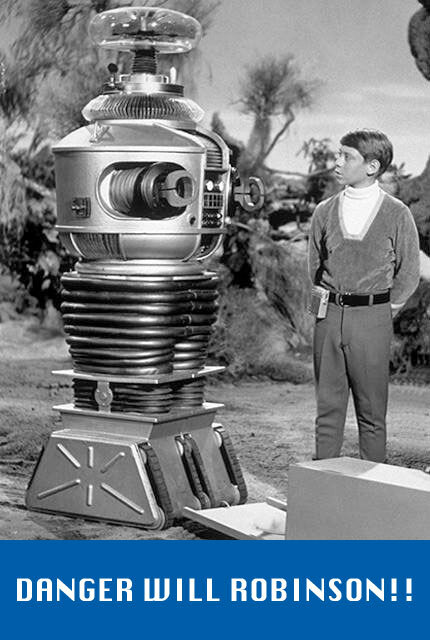 As an example, previously he had an SEO salesman sell him a bill of goods. The advice was so elementary and wouldn’t improve much. You know they type, they run a free report and tell you how they can fix it and make you #1 for everything under the sun. (charging you an arm and a leg and delivering NOTHING substantial) We had done a lot of good for this company, so I wouldn’t fight over some minor tweaks and it was easier just to make the changes (at least in this case they weren’t black hat tricks that would hurt his rankings). Personally, I figure it is better to do right by people, as in the long run you has much better, longer term relationships with your clientele. We have a 98% retention rate, which says we are correct in this assumption. Several months ago this client told me about this marketing firm who’s going to do some work for his company. Looking up their work, I didn’t see anything too impressive, and although he lives in a major market this company was not one of the better firms and had a lackluster portfolio at best. But, I figured that if he liked their work, perhaps they could help him as he was not very skilled at writing blogs and coming up with ideas for content. But then he said that this company also needed to host his website in order to do marketing work. Now that this was an immediate red flag. 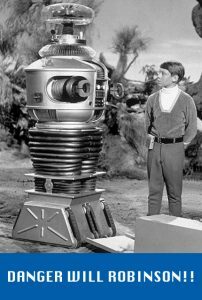 (Danger Will Robinson!!) I explained to him that moving the hosting would be a mistake as if he wanted to leave them, they will hold his site hostage and charge him to transfer it to another company. I explained that there was nothing they needed to do from a content standpoint that they couldn’t do just by logging on my server. So there was no good reason to leave and since we charged him very little, there wasn’t a financial rationale. But, as I said, he listens to the last person he speaks to, so he typically makes bad decisions rather than trusting those companies who were fair to him for many years. Alas, there is a cure for this condition if you suffer from this affliction. Think about what they are asking and how it can impact your company if the relationship fails. What happens to my site? Take a step back and ask yourself, is my current company doing a good job, and more importantly have they been trustworthy? Look for a red flag as was sooo obvious in the above case, if you see one, walk away. NO RUN. Taking these 3 simple steps will save you agita down the road and money!! Having a company you can trust with no hidden agenda is worth its weight in gold in today’s world.